easyJet, has become the first airline to trial iBeacon technology across Europe to help passengers navigate their way through the airport. 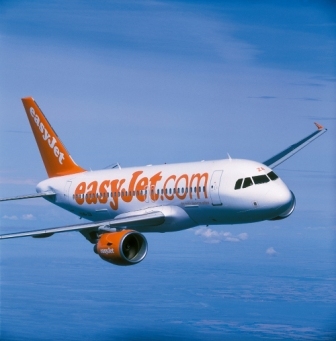 The airline is trialling this new technology during peak summer with a view to rolling it out across Europe if it proves popular to let iBeacons light the way for easyjet passengers. 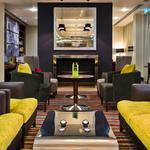 The strategically placed beacons, which are being trialled at London Luton, London Gatwick and Paris Charles de Gaulle Airports, trigger helpful notifications to passenger’s mobiles during critical points of the airport journey. 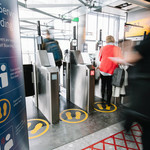 The notifications are automatically activated as passengers approach bag drop and security – prompting them to open their boarding pass at the right time so it is ready to be scanned and advising when passports need to be presented. “This is another example of how easyJet is innovating to make travel easier for passengers across Europe. By becoming the first airline to trial iBeacons across Europe we can help speed up the airport journey and provide assistance to our passengers making it even easier to fly with easyJet. Beacons are small Low Energy Bluetooth transmitters that can trigger the easyJet app to send helpful notifications. The app uses the customer’s Bluetooth signal to estimate their proximity to a beacon – enabling it to deliver the right message at the right time. easyJet has worked with the three test airports to strategically position the beacons in the correct locations, which will ensure messages are sent when it is most relevant to the customer. easyJet’s popular app has been downloaded 9.2 million times to date. It is the fastest airline app available. In recent years easyJet has embraced technology to help make our passengers’ journeys easier and more seamless. We keep our passengers up to date with any information about their flight as well as using Flight Tracker on easyjet.com. Our Inspire Me tool helps passengers decide where to travel and our low fare finder helps customers find the lowest available fares.